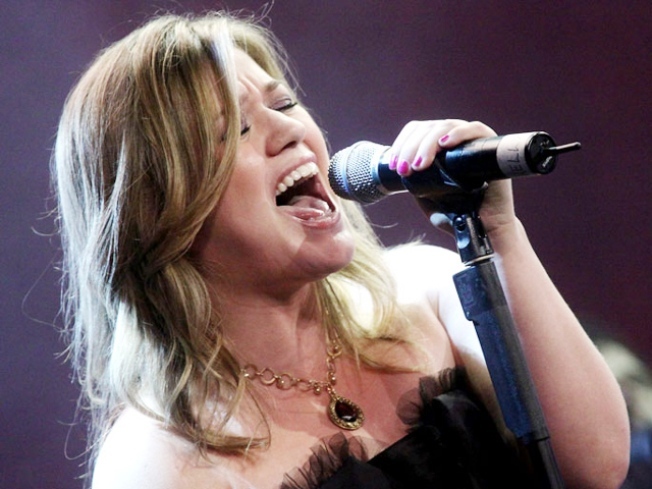 Get a dose of Kelly Clarkson at Hammerstein Ballroom tonight. OUR LIVES WOULD ETC. : Kelly Clarkson doesn’t make headlines for boomeranging in and out of rehab or flashing her ladybusiness getting out of cars. Girlfriend works hard – she may be America’s most industrious pop star, in fact -- and the voice? It’s getting better with age, developing a little Janis Joplin patina around the edges. Go hear the woman who’s so awesome, we can’t believe she was ever on “American Idol” – competing against Justin Guarini.She’s at Hammerstein Ballroom, with the Veronicas opening. 8PM. SPOONFUL OF SUGAR: New book niche alert: literary selections by famous people. Like, for instance, “Julie Andrews' Collection of Poems, Songs, and Lullabies” ($24.99, Little, Brown) a curated mix of works by the likes of Robert Frost and Emily Dickinson interspersed with family stories and fond reminiscences by La Poppins herself. Andrews and her daughter, Emma Walton Hamilton, present and sign the tome – which is aimed at young readers, but trust us, is pretty delightful even if you’re way past 12 -- at Barnes & Noble Tribeca at 5:30PM. STEVE ADORE: Even if Steve Martin was a middling musician, he'd probably sell out tonight's performance with the Steep Canyon Rangers at Carnegie Hall -- but he’s been a gifted banjo player since his early comedian days, when picking was a touchstone of his stand-up. He’ll play selections from his recent release “The Crow,” peppered, no doubt, with a healthy dose of trademark Martin self-deprecation-slash-aggrandizement. Love. 8PM.